Suffed Portabello mushrooms | Life's Conundrum - Eat to Live or Live to Eat? A versatile mushroom which works a treat as a vegetarian option on the barbecue (sprinkle salt, pepper, dry herbs, twist of lemon and a knob of butter and grill). 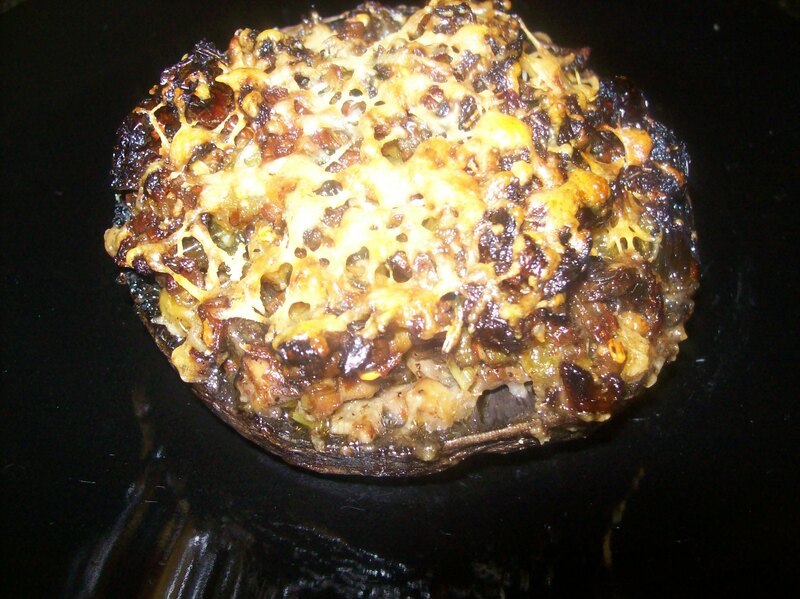 I baked some for dinner the other night and stuffed it with a mushroom duxelle of sorts. The finished article had bags of flavour and will definitely feature on future barbecue sessions. Heat pan and add oil and butter. Once melted add garlic and stir for a couple of minutes before adding onions and celery. Saute for 5 minutes before adding the chopped mushrooms and spring onion. 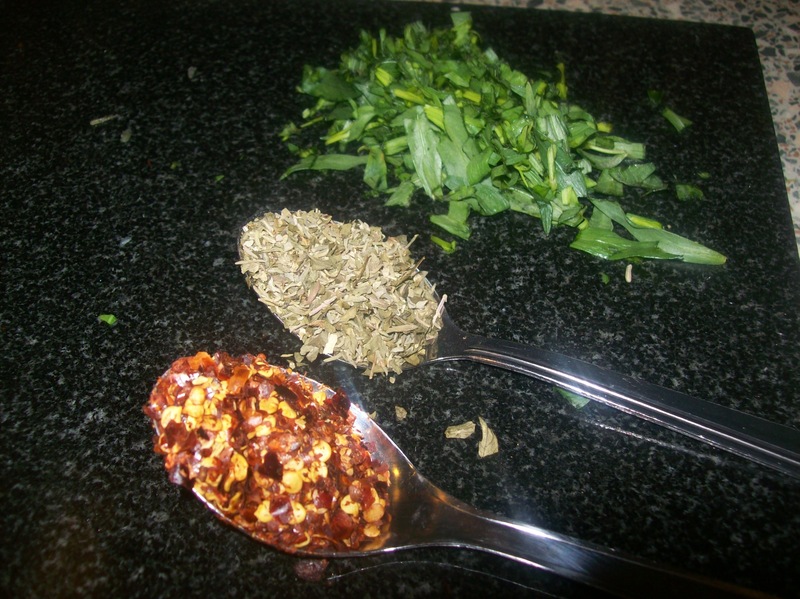 Add herbs and chili flakes and season with a bit of salt. Once mushroom has cooked down add the sun dried tomatoes and olives and warm them through before garnishing with fresh chopped tarragon. 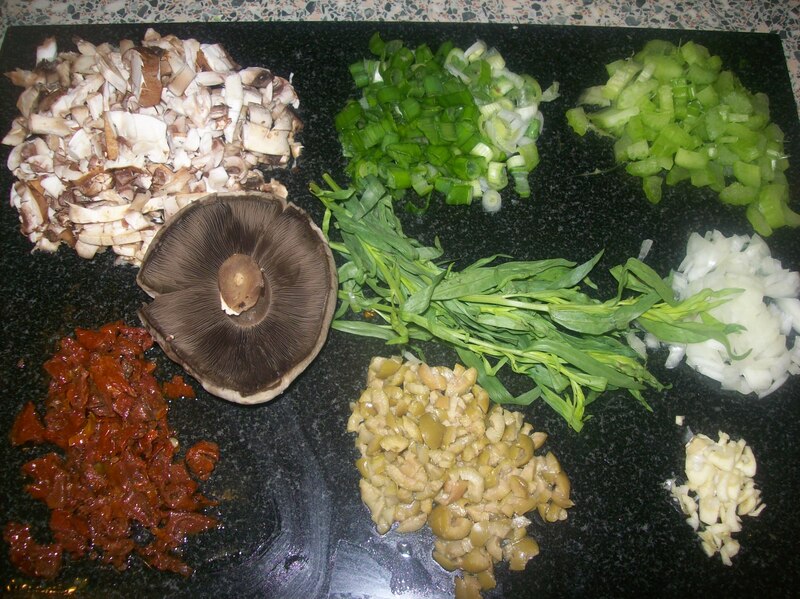 To prepare the portabello mushrooms for baking remove the skin and place on baking sheet. Scoop a bit of the mixture and fill the cups of the portabello mushroom. Finish with a sprinkling of Parmesan cheese before baking in a 220 degree centigrade oven for 25-30 minutes. Posted on May 26, 2013 by Anna and Shiv	• This entry was posted in Main courses, Recipes, Uncategorized and tagged Butter, Cook, Garlic, Home, Mushroom, Olive, Olive oil, Parmigiano-Reggiano. Bookmark the permalink.